Take a journey to a deeper place. In this gorgeous hardcover book Erik uses nature as a means to explore our often overlooked inner world and invites us on a journey towards wholeness. 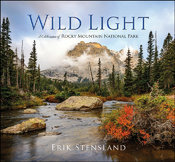 Enjoy this award winning hardcover book that celebrates the wonder of Rocky Mountain National Park exploring each of its ecosystems, regions and seasons. This is the book you'll want to have on your coffee table. 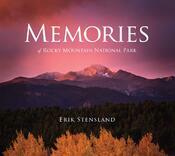 Take home memories from your visit to Rocky Mountain National Park with this attractive paperback book filled with images of this amazing place. Are you planning a visit to Rocky Mountain National Park? Do you want to take stunning photos of this incredible landscape? Then you will want to get a copy of this book.